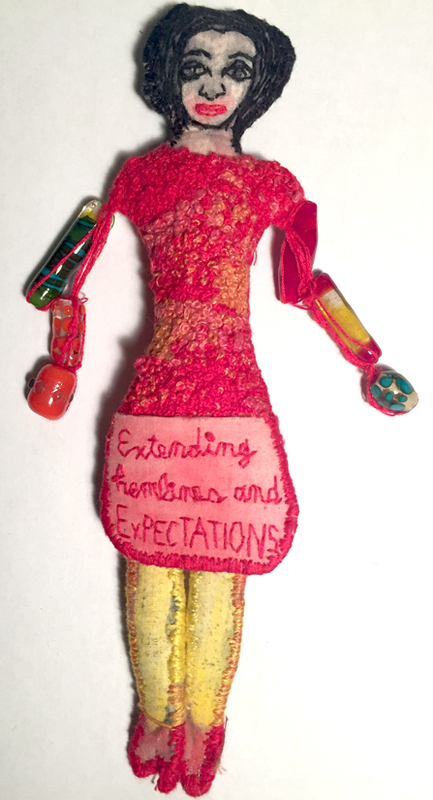 “Extending Hemlines and Expectations.” 2015. Handmade glass beads with paint on fabric, stiffener, stuffing, embroidery. 8.25″x3″x1.5″.